Here they come! Rufous Hummingbirds, Black-chins, Broad-bills, Ruby-throats like this one, and others are migrating north after a hot, dry winter in sunny Mexico or Central America. And they’re ready for a drink. 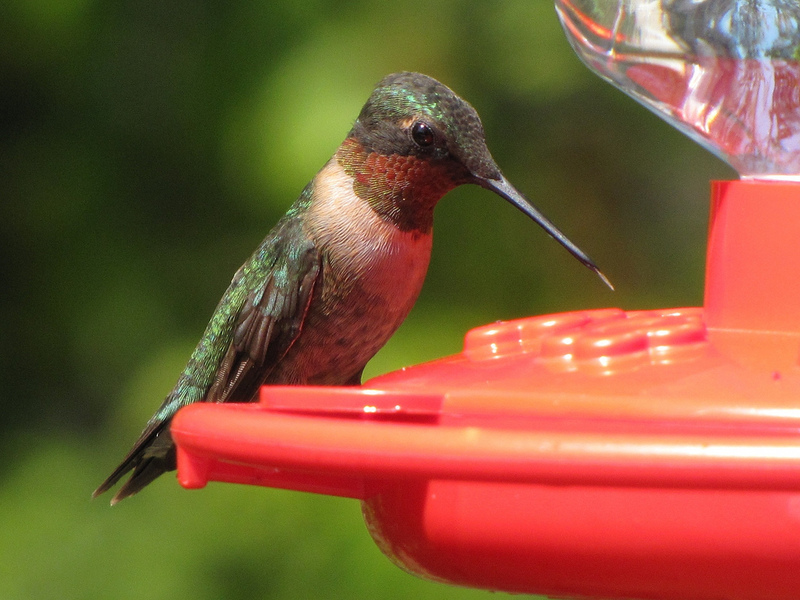 You can help these thirsty birds by hanging a hummingbird feeder filled with the right kind of nectar. Select a feeder that you can easily clean on the inside, and one that has plenty of red to attract the birds. Then fill it with sugar water made by dissolving one part sugar in four parts water (use plain table sugar — no honey or sugar substitutes allowed). And please — no red food coloring! Here they come! Rufous Hummingbirds, Ruby-throats, and others are migrating north after a hot, dry winter in sunny Mexico or Central America. And they’re ready for a drink. Hummingbirds need to consume several times their body weight each day, so they're looking for flowering plants to quench that mighty thirst. If a whirring puffball is hovering at your window, consider becoming a hummingbird bartender. 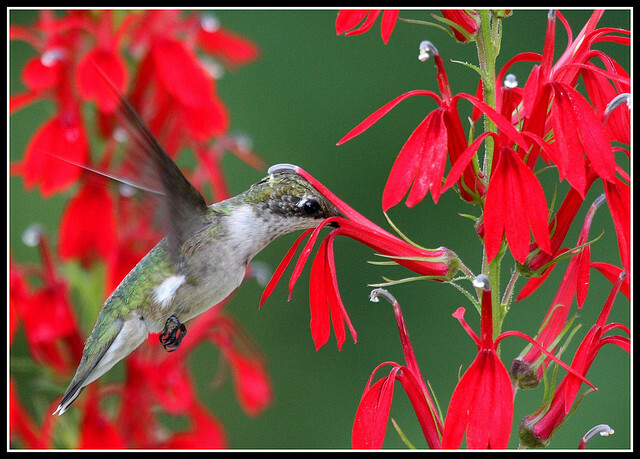 There’s no need to feel guilty that feeding hummers will lure them away from their natural sources of nourishment. 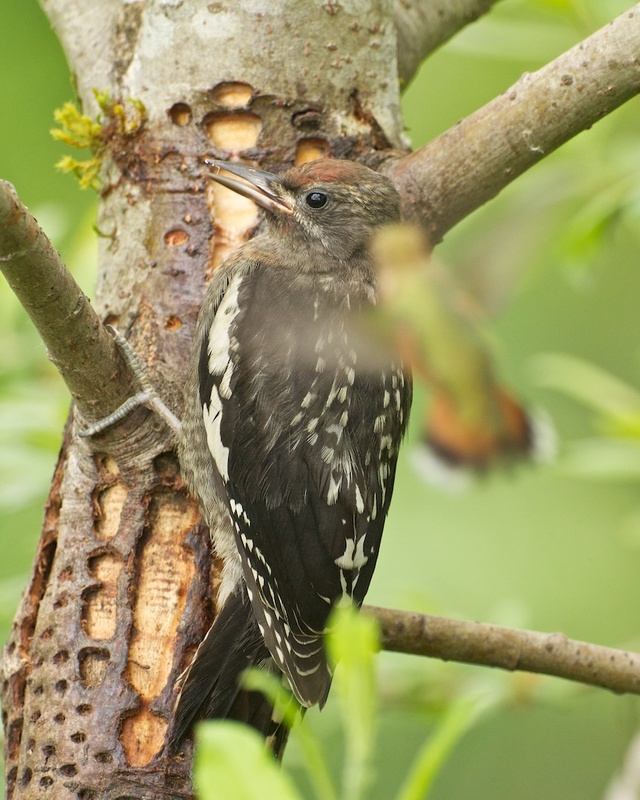 The birds will continue to consume a healthy balance of plant nectar, small insects, and sap. 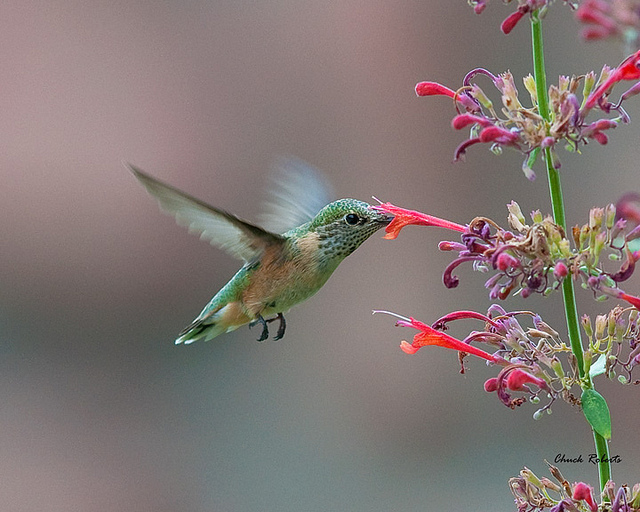 You can learn a lot more about hummingbirds — and what attracts them. Begin at our website, BirdNote.org. I'm Mary McCann. Whirring, call and “J display” of the Rufous Hummingbird #109124, provided by The Macaulay Library of Natural Sounds at the Cornell Lab of Ornithology, Ithaca, New York. Sound Recordist: G.A. Keller. BirdNote's theme music was composed and played by Nancy Rumbel and produced by John Kessler. 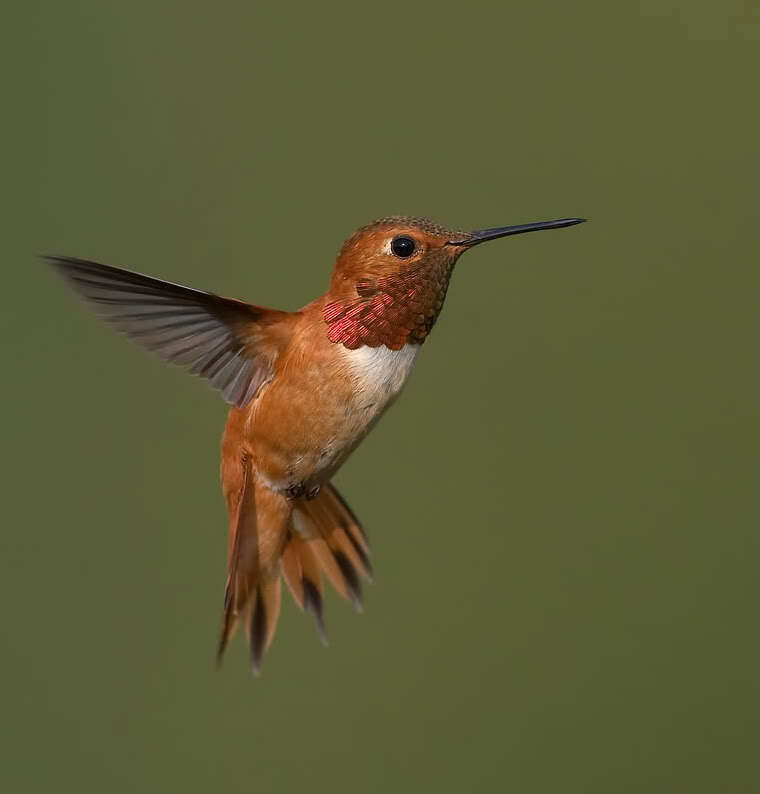 Check out Audubon's citizen-science project - Hummingbirds at Home!